It’s been a few months (perhaps a year now) since my husband first started his no ‘poo adventure. It took my a lot of convincing but I finally got him to switch. However, he could not stand the usual vinegar method for his conditioner. To keep my husband on the no ‘poo path, I made a homemade conditioner. It works well and he likes it but I did not enjoy having to make it every week or two. Who has time for that? We also wanted something that would help his dry scalp and while the homemade conditioner didn’t make it worse; it really wasn’t doing a whole lot of good either. I had heard that honey could be used as a conditioner for awhile. In fact, I have used it in part of my no ‘poo routine occasionally. 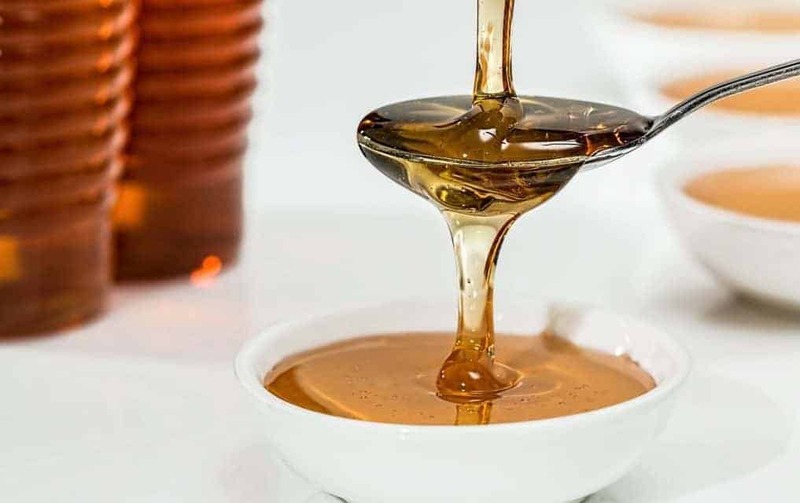 Knowing that honey is a humectant which will help moisturize, it’s antibacterial and antifungal so it can help with scalp issues, and it wouldn’t spoil, I convinced my husband to give it a try. As it turns out honey works really well! Then I thought I’d add some rosemary to the honey because rosemary is antibacterial much like honey but it also helps promote hair growth and helps with dry scalps and dandruff. The new Rosemary Honey Conditioner works great! I’d say it has been better than the old homemade conditioner. Now I know what you might be thinking…. this stuff works on my husband and he has short hair but what about on women’s hair? Well, I knew that you’d want to know the answer to that so I tried it out myself. I will admit that I was skeptical when I was washing it out in the shower. It didn’t feel like it had conditioned my hair much like my usual vinegar rinse. However, when I ran a brush through it, it was perfect. No tangles and my hair looked great. The Rosemary Honey Conditioner works on men and women’s hair. Place the Rosemary essential oil into the honey bottle and shake it up so that it’s mixed well. 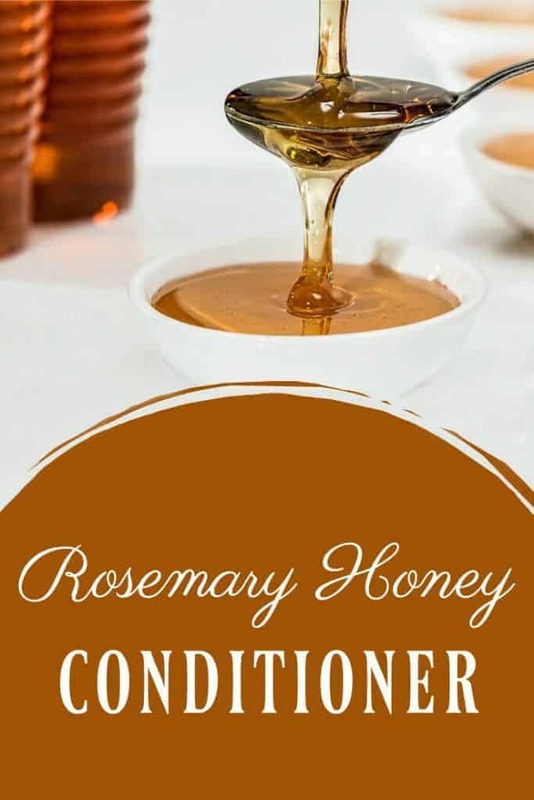 You now have Rosemary Honey Conditioner. I just kept the honey in the bottle that it came in but you could transfer things to your conditioner container of choice. Squeeze out about 1 tbs of honey into your hands and spread on hair. It is sticky so you may need to get your hair a bit more wet so that the honey can spread around. Alternatively, you can squeeze 1 tbs of honey into 1/2 cup of water. Mix well and then pour this on your hair. This is similar to the traditional no ‘poo vinegar method and works well for women who do not have super short hair cuts. Something to try: I have not had the time to try it out yet but it’s been said that honey can be used for both the shampoo and conditioner…sort of a two-in-one deal. Might be worth trying out! This is interesting! I put honey in my clay to wash my hair, and I do feel that it helps condition at the same time, but i haven’t used it sorry as a conditioner.